10 – Remote Thermal Sight: In this issue, the most acclaimed section by our readers now takes two models instead one. 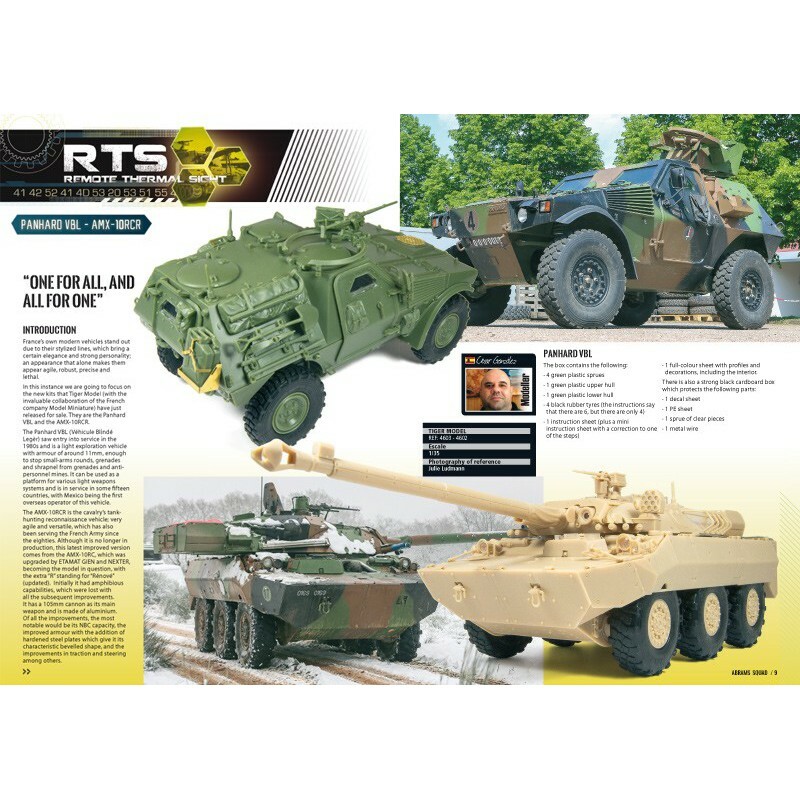 And this is because the fi rst two kits from the new company, Tiger Models really deserves a special place in our magazine. Two, wheeled French vehicles that are in use currently: Panhard VBL and AMX-10RCR. 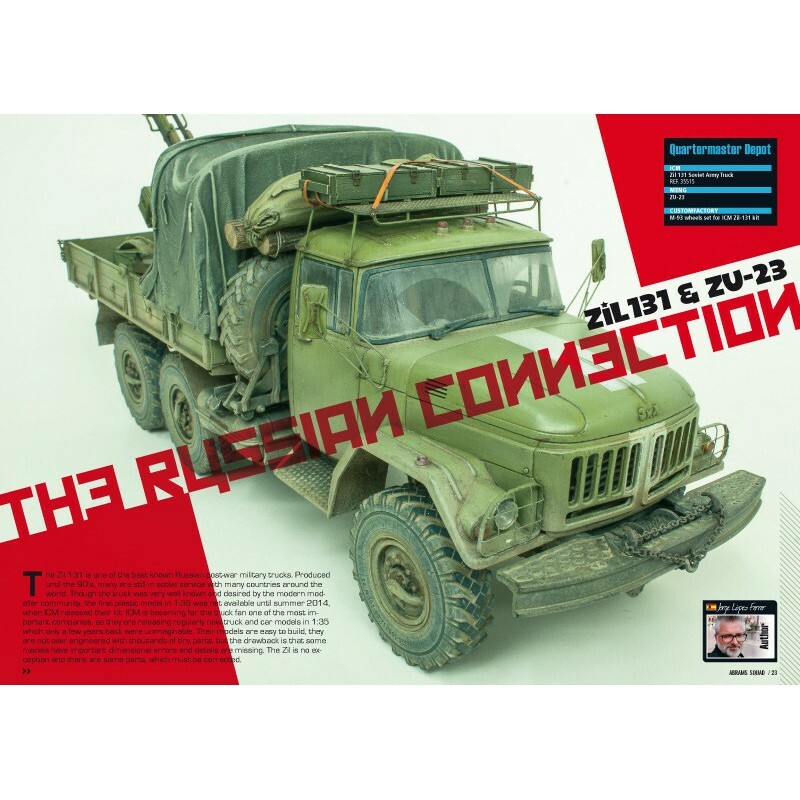 22 – THE RUSSIAN CONNECTION ZIL131 & ZU23: In Abrams Squad, we really want to bring you the best articles, not only recipes, true modelling articles, where our readers can learn the essence of the modelling: the need of representing a real (or fi ctitious) subject in scale. 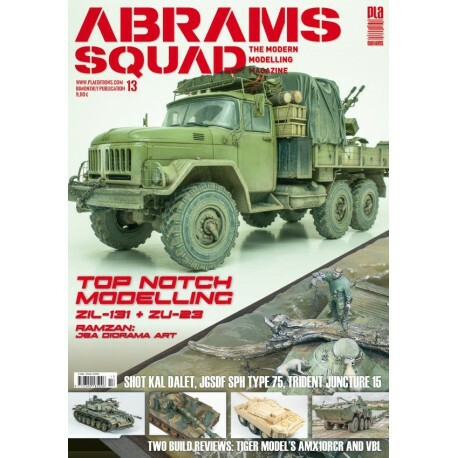 Jorge López off ers us a wonderful article on how to build a ZIL131 truck mounting an anti-aircraft gun as the used during the recent war in Ukraine. 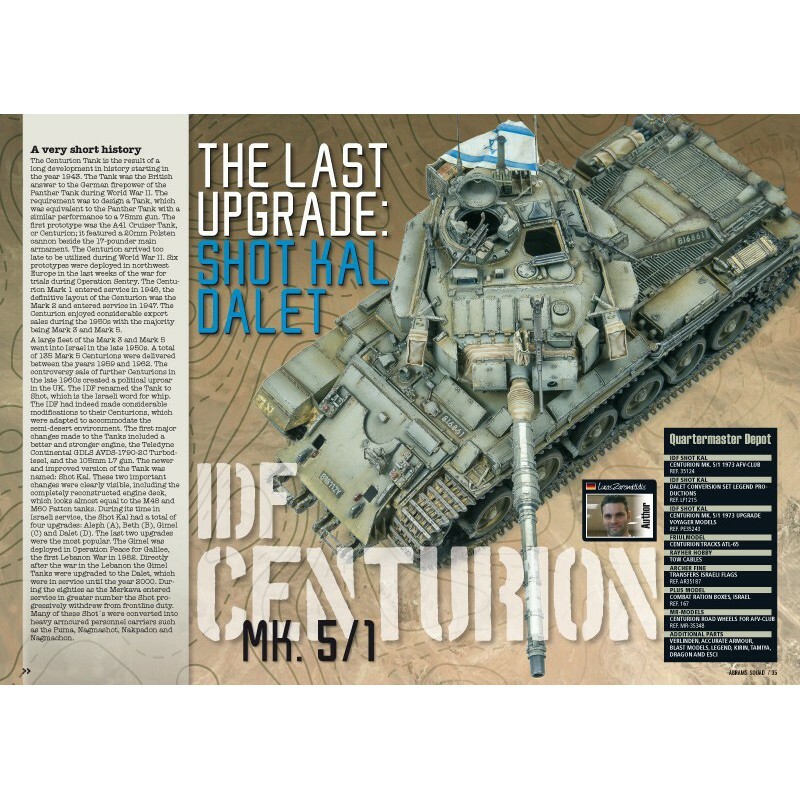 34 – THE LAST UPGRADE SHOT KAL DALET: Lucas Zaromitidis is one of the new three enlistments on this issue, a talented modeller and a fan of the Centurion MBT. He introduces himself with an article full of advanced building techniques and some painting skills that hopefully inspires many of you. 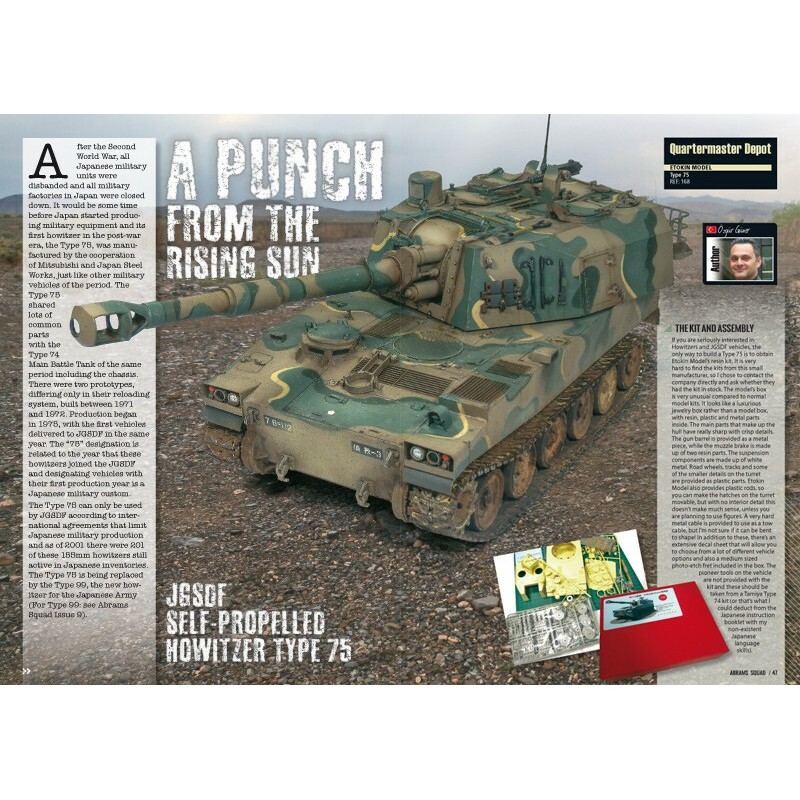 46 – JGSDF SELFPROPELLED HOWITZER TYPE 75: Now a model of a less popular subject, with an original camo and masterfully painted by Özgür Güner, an excellent modeller that likes challenges. He is not only interested in painting out of the box kits, but he likes diff erent projects, with diffi cult models and attainable painting techniques to achieve amazing results. 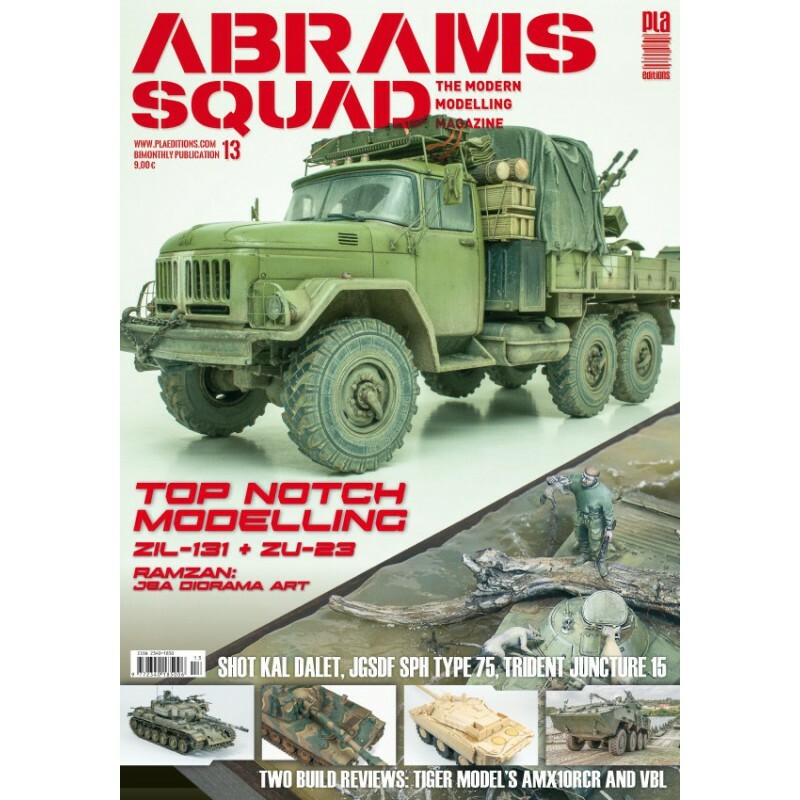 56 – RAMZAN DIORAMA BMP1P: The difference between Abrams Squad and the other magazines is our passion for modelling, in all its forms. We want to focus not only building, painting or weathering, but all of these techniques. The Squad really likes all kinds of modelling expressions, and in this case we show it with an artistic diorama. Yes, a diorama where sensations are more important than artistic techniques. And Jean Bernard André is second to none at creating this. 66 - TRIDENT JUNCTURE 15 – During the months of last October and November, NATO held a huge multi-national exercise to prove their capacity of response against potential threats. 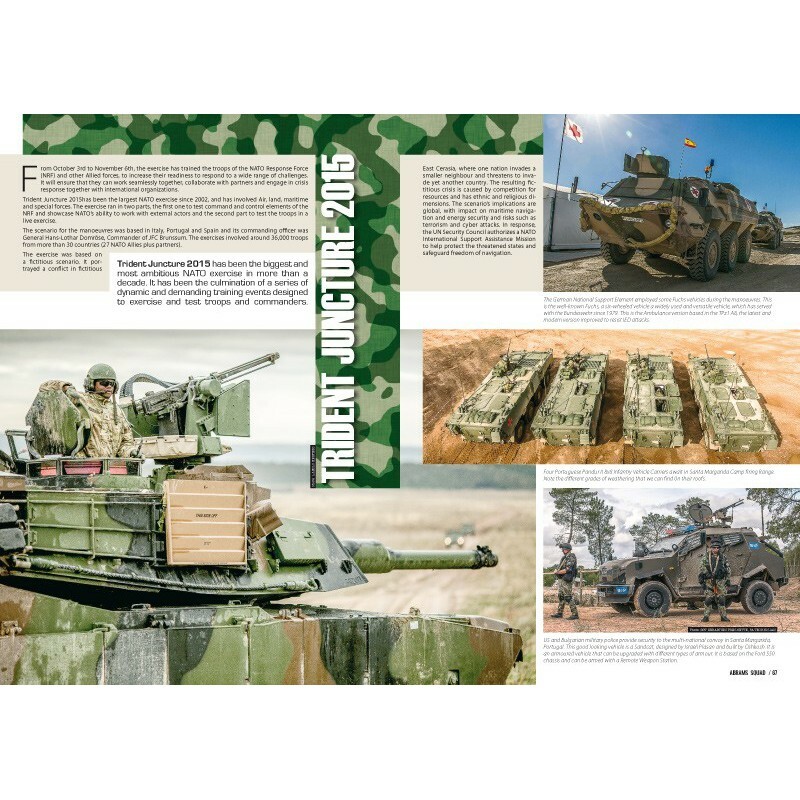 Trident Juncture deployed in Italy, Portugal and Spain and involved hundreds of diff erent vehicles of all kinds, here we show you a selection of the most interesting ones.